On this website you will find information on the most prestigious grandfather clock manufacturers, and the different makes that they carry. You will also find information on where you can buy the clocks, as well as some ways you can save money. For example by using an easy to work with, detailed plan. One of the most recognizable names in the production of grandfather clocks is Howard Miller. Howard Miller learned the art of making clocks from his father in the Black Forest of Germany. In 1926 he started his own company, and it has since grown to be the largest manufacturer of floor clocks in the world. This was accomplished by maintaining the highest standard in manufacturing. Each clock must be a masterwork of craftsmanship in order to carry the Howard Miller name. With the clocks such as the traditional J.H Miller Clock , the curvaceous Howard Miller Coco Clock , and the exquisite Howard Miller Veronica Clock , this tradition continues to this day. Over the years, Howard Miller has acquired other clock manufacturers. Foremost among these is the Kieninger Clock Company . Founded in 1912 by Joseph Kieninger, it is the oldest manufacturer of floor clocks to still be in business today. Kieninger clocks have a traditional look to them, while at the same time incorporating the modern advances in technology. Another division of Howard Miller is the Ridgeway Clock Company . The Ridgeway Clock company started life as the Gravely Furniture Company in 1926. In 1960, the name was changed to Ridgeway Clocks, as the company shifted focus exclusively to floor clocks. Howard Miller acquired the company in 2004. The makes of Ridgeway are versatile. They range from the more traditional to the very innovative. The Black Forest of Germany has produced many great tallcase clock makers, and one of the most prestigious is Hermle Black Forest Clocks . founded in 1922, they have been in business for over 80 years. During this time they have been family owned and operated, which is not an easy task in todays competitive marketplace. While most of the clocks they produce are traditional in appearance, an exception is model number 01158-002200, A modern masterpiece of glass with a wooden base. These are just a few of the many floor clock manufacturers you will find on this site. Places where you can price and shop for these brands as well as others include the following web sites. If you like the look of a tallcase clock, but you don’t want to spend the money it takes to own one, don’t worry. There are grandfather clock kits available which will help you design and build your own clock! By doing this, you will have a clock that is unique to you and your family that can be passed down through the generations. If you like the idea of a homemade floor clock, but you still don't want to make it yourself, you can hire a German clock maker to make the clock for you. This will allow you to have the uniqueness of a homemade floor clock, and save you a bit of money as well. If you have a grandfather clock with a story then why not share it with people that will understand and appreciate. If you have a clock that you want do sell, then go to the Clock Forum and participate. As you may have been able to tell, I love my grandfather clock and this site was designed to share my love and enthusiasm for them. If you have a question that you can’t find an answer to within these pages, please send me a message by using the contact button on the left. The Grandfather Clock Blog keeps you up-to-date with all additions and changes to the grandfather-clock-info Web site. Subscribe here. 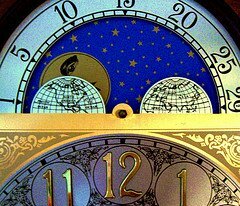 Grandfather clock history, where do antique grandfather clocks come from. Antique grandfather clocks are a rare and treasured find. These timepieces were built in America for American families. These American Antique Grandfather clocks were built in America for American families. Grandfather Clock for Sale. That is what you are looking for. Put your grandfather clock up for sale in our forum. Hentschel grandfather clock can’t be duplicated by other clocks. The motto of Hermle grandfather clock is "Time Never Stops"
Howard Miller Grandfather Clock, Why is it so Good? The Ridgeway Grandfather Clock Tradition. Tempus Fugit . Curio Grandfather Clock. Curio Grandfather Clock, More than just a clock. Pendulum clocks come as grandfather clock and as pendulum wall clocks. The Best antique mantel clocks are made by Bulova and Howard Miller. Antique Clock Parts. Finding suppliers to repair that old clock. The antique clock parts are handled by those well acquainted with the glory of grandfather clock. Make your own with a Grandfather clock kit, its easy to do with a DIY clock kit. Grandfather Clock Repair, how to repair and where to have those repairs done. What Payroll Time Clock is Best? Biometric, Electronic or Fingerprint. Why Buy Online? How Can You Make Shopping Online Save?